Bhubaneswar: The Congress on Friday claimed that its resurgence in Odisha has forced the BJD to strengthen ties with old ally BJP by backing the NDA candidate in the Rajya Sabha deputy chairman election. Nine MPs of the Biju Janata Dal voted in favour of NDA nominee Harivansh Narayan Singh in the election to the post of Rajya Sabha deputy chairman held on Thursday. 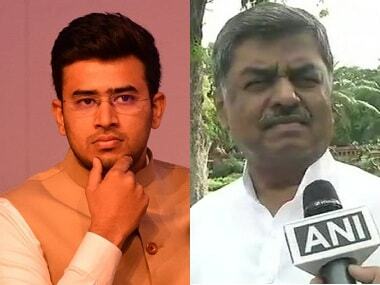 Singh defeated the opposition's candidate BK Hariprasad. 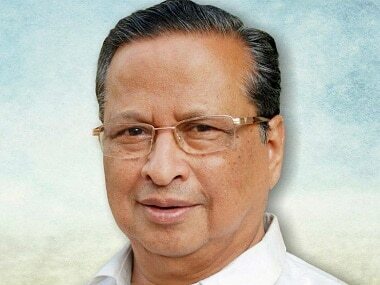 Odisha Pradesh Congress Committee (OPCC) President Niranjan Patnaik claimed the ruling BJD is now considering the Congress, and not the Bharatiya Janata Party (BJP), a threat and its main opponent in Odisha. "Because of this, the BJD voted in favour of the NDA. The Congress party's resurgence in Odisha has compelled the BJD to have stronger ties with its old ally BJP," he said. "By supporting the NDA candidate in Thursday's election, Chief Minister Naveen Patnaik has clearly shown the close relationship he has with the NDA and the BJP," he added. Niranjan Patnaik questioned the BJD over the party saying that it had lent support to the JD(U)'s candidate and not the BJP's. He sought to know why Naveen Patnaik or any of his cabinet colleagues did not attend JD(U) leader Nitish Kumar's swearing-in ceremony as chief minister of Bihar. "Through its action, the BJD has exposed itself as a party having no ideology (and) which excels in opportunistic politics," the PCC chief said. Questioning the BJD's claim about keeping an equal distance from the Congress and the BJP, he pointed out that the BJD MP's walked out, without taking part in discussion and voting, during the recent no-confidence motion against the BJP-led NDA in Parliament. The BJD also supported the BJP on the National Register for Citizenship (NRC) in Assam, he added. Naveen Patnaik also supported Prime Minister Narendra Modi's idea of holding the Lok Sabha and the state assembly elections simultaneously, he said, adding that all this clearly showed the bonhomie between the two leaders and their parties. To garner votes in the 2019 elections, the BJD and the BJP are staging a drama by attacking each other, the Congress leader alleged. 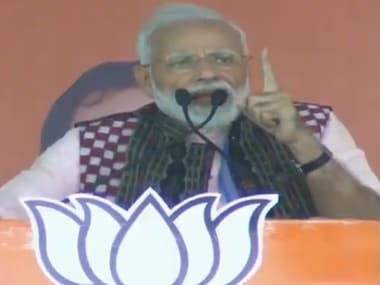 Speaking about the BJP's goal of winning 120 of the 147 seats in the Odisha Assembly polls, he said, "Both the parties have launched 'Mission 120', but they are actually in a 'Mission 420', which means it is a mission to cheat Odia people for another five years." The two parties, who shared power from 2000 to 2009, have not forgotten each other, the Congress leader said. 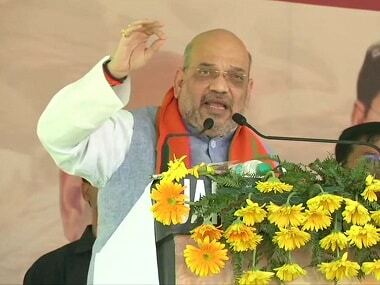 Though the BJP's state unit is criticising Naveen Patnaik, neither Prime Minister Modi nor party president Amit Shah has uttered a word against the chief minister and vice-versa, he said, adding that the Centre has praised Odisha for rural housing. Farmers are committing suicides in Odisha, but the state is being honoured with 'Krishi Karman' award, he said. Now the people know the truth, he said. Talking about the Mahanadi water dispute, the PCC chief alleged that while the Centre silently allowed the construction of dams and barrages on the river in the BJP-ruled Chhattisgarh, Naveen Patnaik kept people in dark for a long time and only raised his voice after the work was over. He said BJP leaders Dharmendra Pradhan and Jual Oram should join the Congress if they really want development of the state as it is the only opposition party working for Odisha's people.